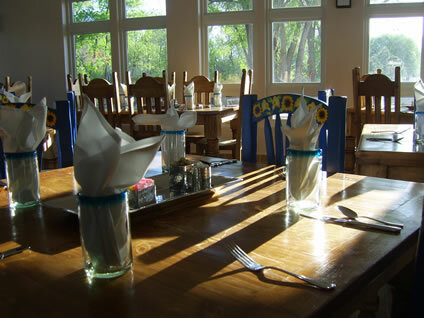 The exquisite dining facilities at the Bosque Center pamper your guests with views of the Bosque setting and the Sandia Mountains. 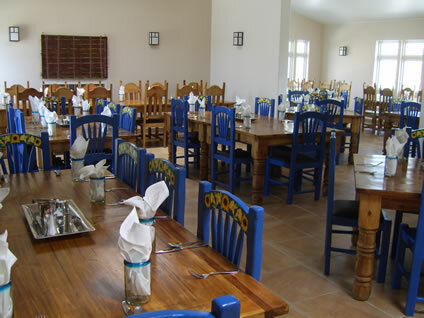 Seating can be arranged for up to 100 diners. 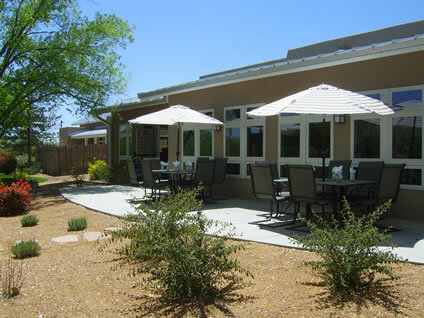 The menu is prepared in collaboration with Chef Jerry and the cuisine staff at the Bosque Center, and serviced through the professional kitchen facility. 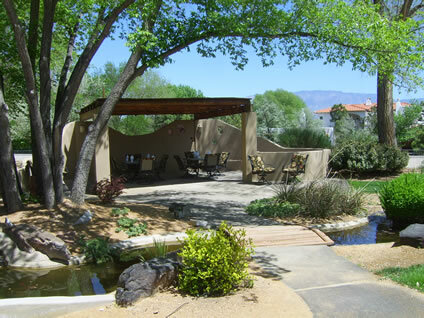 Refreshments can precede your meals on the well-appointed terrace and retreat area, and guests may wander the landscaped grounds for peaceful conversation before their meals. 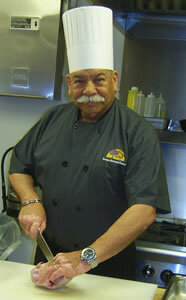 Head Chef Jerry Gallegos is cooking up something delicious in the Bosque Conference & Retreat Center kitchen. Throughout Chef Gallegos’ career he as had the opportunity to learn from chefs, managers and other professionals in the industry. He has served Banquet Service Manager for the Albuquerque Inn/Convention Center, and Food and Beverage Manager for the Sheraton Old Town. 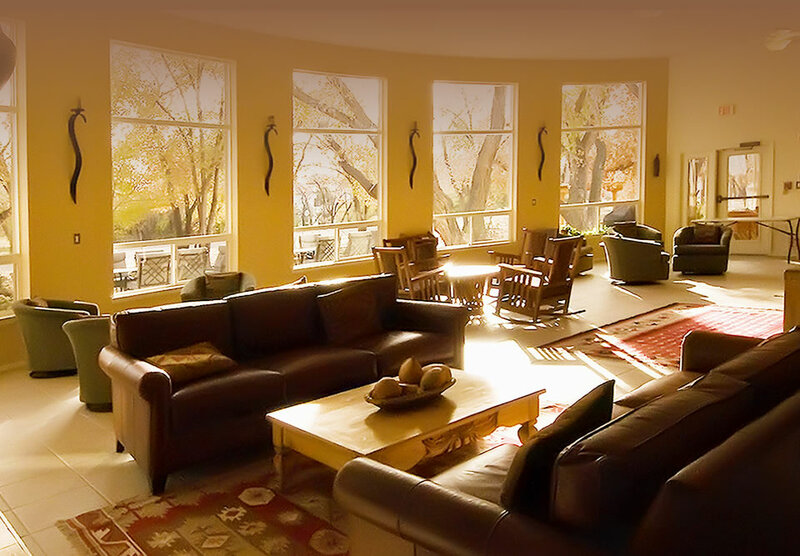 Jerry and his staff provide personal and business catering in the Albuquerque area. He joined the Bosque Center in July 2014 where he creates local and fresh cuisine to feed the body and soul. The conference center’s Cocina Martita Dining Room seats up to 110 people.